This is what happens when you let me near 3 Prismacolors and give me a piece of paper. Yeah I went kinda mad here, and this started out as a doodle and just got bigger and bigger. 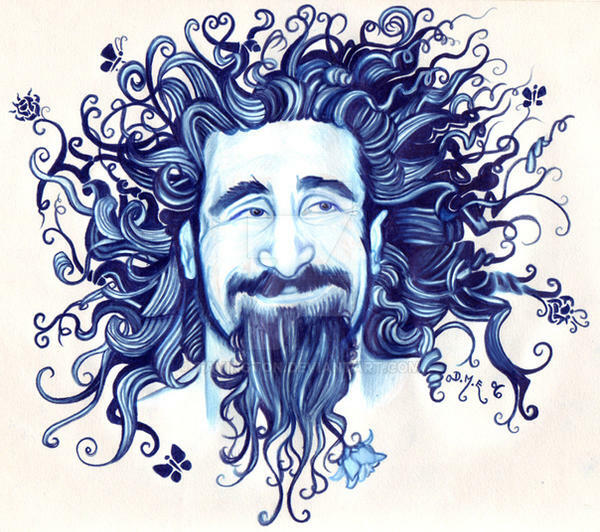 I was lucky enough to show this drawing to Serj in person when I met him on his 2007 tour, in Manchester UK. 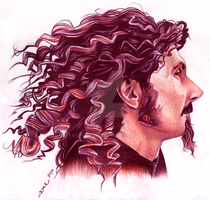 He signed a print of this drawing and showed it to his band. I was well chuffed! Thank you very much for the heads up. I'll see if I can report it, but after so long, I'm thinking I've had enough. This piece has been stolen multiple times, and I've had to chase down each one. Thank you so much for looking out for me though, I really appreciate it! No problem! I'm so sorry about that too ;^; it's so rude! 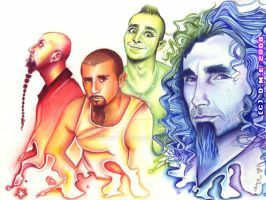 theft is really common in the SOAD fanbase and I hate it. If I see people reposting art from on here without credit I ask them to credit or just put it on there myself. You and Red-Szajn get the worst of it I think. I report when I can but sometimes the site wants the copyright holder to do it. Hehe! I've met him a few years ago. Really lovely guy! Awesome Yea, I've heard he was an awesome guy, he looks like he'd be really nice. Damn that is gorgeous. Congrats on being able to show it to him! 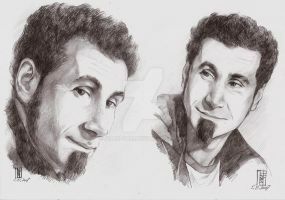 nice one of serj....check out my drawing of him. It's a commission for a young man! I know! He was really nice and sweet too! Thanks! I love drawing hair!